Will mandatory Ebola quarantines make things worse? WASHINGTON - Mandatory 21-day quarantines on health care workers returning from Ebola-ravaged West Africa, like those put in place by three states, can have the unintended consequence of discouraging them from volunteering, a top federal health official said Sunday. Dr. Anthony Fauci, director of the National Institute of Allergy and Infectious Diseases, said in an interview with CBS' "Face the Nation" that as a physician and scientist, he would have recommended against a quarantine. "The idea of a blanket quarantine for people who come back could possibly have a negative consequence of essentially disincentivizing people from wanting to go there," Fauci said. "The best way to protect Americans is to stop the epidemic in Africa, and we need those healthcare workers to do that. So to put them in a position where when they come back that no matter what they're automatically under quarantine can actually have unintended consequences and that's the reason we're concerned about that." 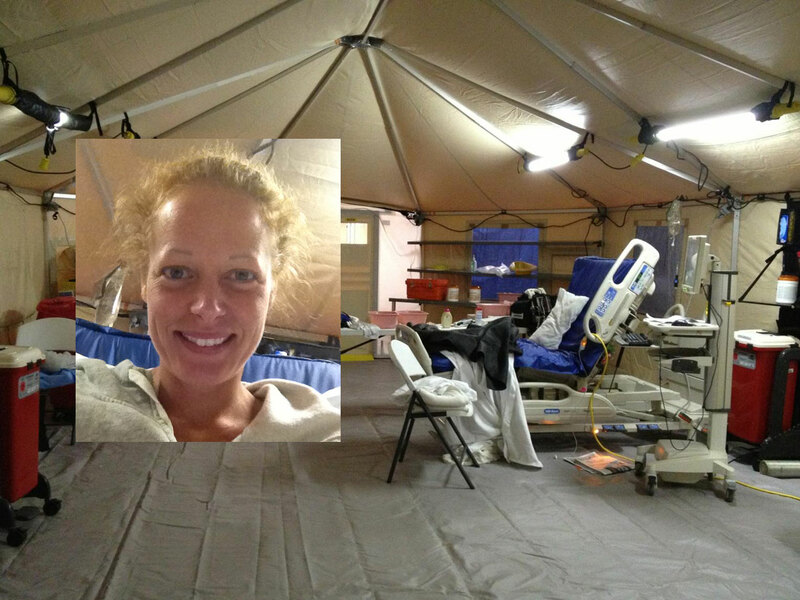 Kaci Hickox, the first traveler quarantined under Ebola watches in New Jersey and New York, criticized the way her case has been handled, raising concerns from humanitarian and human rights groups over unclear policies for the newly launched quarantine program. She has since hired a well-known civil rights lawyer, Norman Siegel, to get her out of isolation. Siegel told the New York Times in an interview: "The policy infringes on Kaci Hickox's constitutional liberty interests," he said. "The policy is overly broad as applied to Ms. Hickox and we are preparing to challenge it on her behalf." In a first-person account for the Dallas Morning News, Hickox said she was stopped at Newark Liberty International and was questioned over several hours after touching down Friday. She said none of those who questioned her would explain what was going on or what would happen to her. "One after another, people asked me questions. Some introduced themselves, some didn't. One man who must have been an immigration officer because he was wearing a weapon belt that I could see protruding from his white coveralls barked questions at me as if I was a criminal," she wrote. CBS News chief medical correspondent Dr. Jon LaPook spoke to Hickox, and said in an interview on CBS' "Face the Nation" that chief among her concern and that of others is the seeming ad-hoc way in which these quarantines have been implemented. Hickox told LaPook some evidence of this comes from the fact that her isolation room has no shower and only a simple porta-potty with minimal privacy, that she was for a time given only cold scrubs to wear, and all this despite that fact that she tested negatively initially. Hickox tested negative for Ebola in a preliminary evaluation. Hospital officials would not say whether she would remain in the hospital for the entire 21-day, state-ordered quarantine period or be moved to another location. Fauci, the NIH official, said active and direct monitoring can accomplish the same thing as a quarantine because people infected with Ebola do not become contagious until they start showing symptoms. Ebola is transmitted through direct contact with the bodily fluids of an infected person. Doctors Without Borders executive director Sophie Delaunay complained Saturday about the "notable lack of clarity" from state officials about the quarantine policies, and an American Civil Liberties Union official in New Jersey said the state must provide more information on how it determined that mandatory quarantines were necessary. New York Gov. Andrew Cuomo and New Jersey Gov. Chris Christie on Friday imposed a mandatory quarantine of 21 days - the incubation period of the deadly virus - on travelers who have had contact with Ebola patients in the countries ravaged by Ebola - Liberia, Guinea and Sierra Leone. A similar measure was announced in Illinois, where officials say such travelers could be quarantined at home. Was NYC Ebola patient's self-monitoring enough? Gov. Chris Christie, R-N.J., said he concluded the quarantine was necessary to protect public health in his state and that he thinks the Centers for Disease Control and Prevention "eventually will come around to our point of view on this." Christie said Fauci was counting on "a voluntary system with folks who may or may not comply." The governor pointed to an NBC News crew that had returned from West Africa was supposed to self-quarantine because its cameraman was hospitalized with Ebola. "Two days later they were out picking up takeout food in Princeton and walking around the streets of Princeton," he said. The cameraman has recovered and has been released from the hospital. The New York Times reports Gov. Cuomo said that it was important to bring the force of law into the debate. "If you had someone who didn't want to cooperate, you can enforce it legally, there's no doubt about that," he said on Radio 103.9, adding that it was "highly unlikely" that a health care worker returning from the affected West Africa nations would object. Cuomo insisted the measures were not meant to prod the Obama administration to adopt stricter rules. Fauci said Spencer did exactly what he should have done by putting himself in isolation as soon as he developed a fever. "No one came into contact with his body fluids," Fauci said. "The risk is essentially zero, vanishingly small." Fauci said the health care workers returning from treating Ebola patients are responsible and know that if they have symptoms there's the possibility of transmitting the disease. "They don't want to get anyone else infected," he said. As for the unintended consequences, he said, "If we don't have our people volunteering to go over there, then you're going to have other countries that are not going to do it and then the epidemic will continue to roar," he said. Samantha Power, the U.S. ambassador to the United Nations who is on a trip to West Africa to highlight the need for increased international support to combat Ebola, spoke of a need to ensure that returning U.S. health care workers "are treated like conquering heroes and not stigmatized for the tremendous work that they have done." A senior White House official said Saturday that how to treat health care workers returning from the affected West African countries continues to be discussed at meetings on Ebola as the administration continues to take a "careful look" at its policies. Dr. Irwin Redlener, a Columbia University professor and director of the New York-based National Center for Disaster Preparedness, said the logistics of the states' new quarantine policy are "a problem." "The challenge now is how you translate this quarantine plan to operational protocol," Redlener said. "Until Ebola is under control in Africa, we're never going to see the end of such cases coming to the United States," Redlener said.